Pitcher Cincinnati Reds Born in Ogden, Utah. 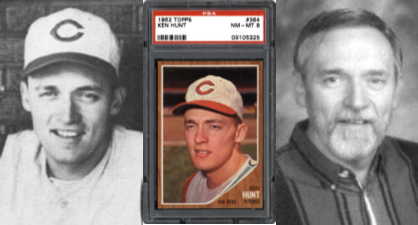 (December 14, 1938 – January 27, 2008) He signed a contract with the Cincinnati Reds where he played professional baseball for 8 years. He was selected as the 1961 National League Rookie Pitcher of the Year. That same year the Reds won the National League Championship Pennant and he pitched in the 5th game of the 1961 World Series against the New York Yankees. Ken and Carol settled in Morgan Utah where Ken taught English and coached at Morgan High School for 30 years, retiring in 2003. In 2004, Ken felt honored to be inducted into the Utah Sports Hall of Fame.